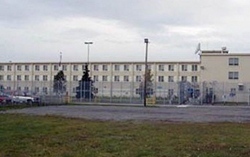 Wildwood correctional complex is comprised of three individual facilities; the Wildwood correctional center, the Wildwood Pretrial facility, and the Wildwood Transitional Program. Each of these facilities houses different types of inmates, and has different visiting hours and programs. A little over 450 inmates are housed between the three facilities. Inmates at Wildwood Correctional Complex can participate in many vocational programs that are used to give inmates real world training and possibly lead to a career once they are released. The facilities have programs based around food handling, industrial and surface mining as well as many computer based programs. An inmate can even earn a Microsoft computer certification. Wildwood Correctional Complex is comprised of three facilities.